To Be Perfectly Honest - Audiobook | Listen Instantly! I’m not exactly sure who I am. of an annoyingly famous movie star. of a famous movie star’s stand-in. which one of these stories is true? 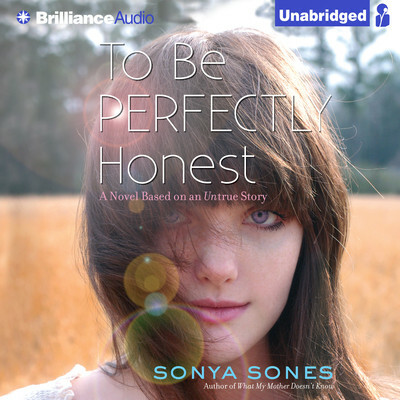 Sonya Sones is an American author specializing in novels in verse. Her books have been honored with a Christopher Award, the Myra Cohn Livingston Poetry Award, and the Claudia Lewis Award for Poetry, and earned a spot on the American Library Association’s list of the Most Frequently Challenged Authors of the 21st Century. She lives near the beach in California.